Are you an old-school fan from the days of the Wolfpack back at Municipal Stadium? Or maybe you are a season ticket holder at Arrowhead, but have a Chiefs-inspired man cave to watch away games. 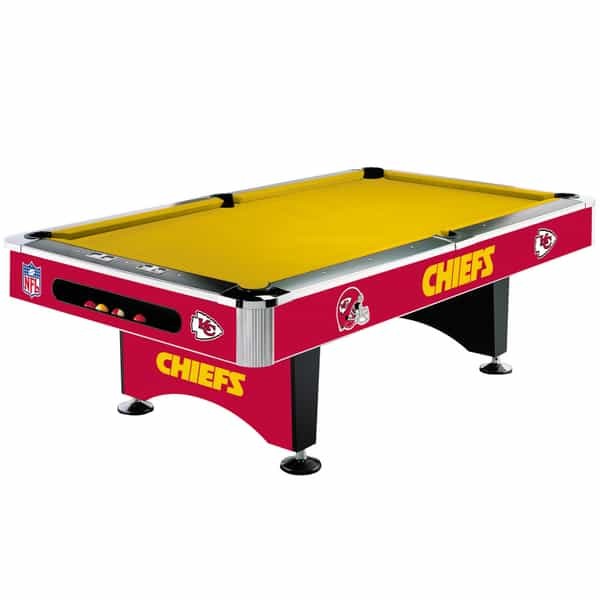 Regardless of your age or occupation, if you're an admirer of this hallowed NFL franchise and own a game room, basement or man cave, the Kansas City Chiefs Pool Table from Imperial Billiards is a must have. Outside of K.C. Wolf visiting your home each away game, this billiard table will provide the perfect diversion before, after and maybe during those Sunday and Monday night football games. It showcases your team's colors and logo and is made from the very best materials, so it's built to last.